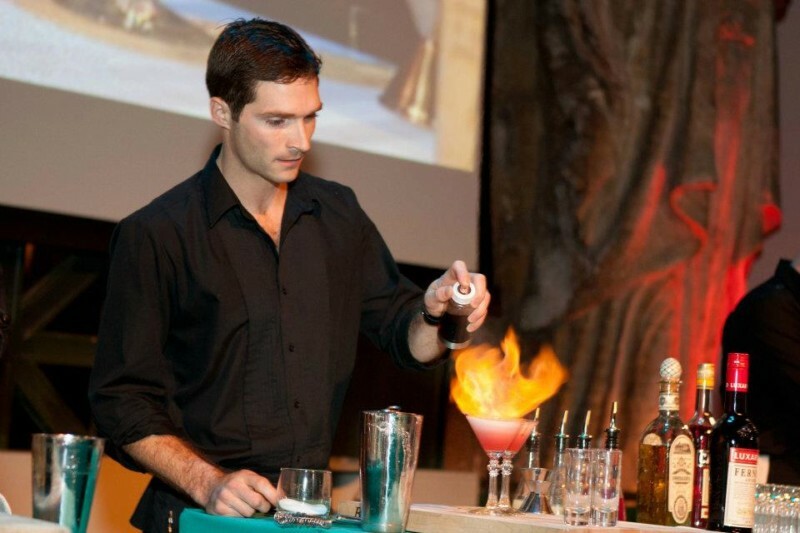 San Francisco, CA, USA — Celebrate the artistry of mixology, shaken with the science behind the craft, at the Exploratorium’s fourth annual Science of Cocktails,Friday, January 24, 2014. The fundraising event transforms the museum into a laboratory of libations, and gives curious cocktail fans the opportunity to get a brainy buzz all in the good name of supporting the Exploratorium’s education programs. Pre-sale tickets are available through December 2, 2013, at www.exploratorium.edu/scienceofcocktails. Science of Cocktails brings together physicists, master distillers, chemists and acclaimed mixologists for a party that educates as well as entertains. Explore the science behind the age old debate of shaken vs. stirred martinis, learn about the anatomy of a cocktail, or hack swizzle sticks and cocktail umbrellas in our Tinkering Studio, all while conducting your own pseudo-scientific investigation of a roster of surprising cocktails created by master bartenders. Past featured cocktails have ranged from a Fresh Persimmon Pisco Sour to a concoction called the QFF Cocktail, an intriguing combination of quinoa vodka, fig and Fernet. Tickets to Science of Cocktails include open bar, ample hors d’oeuvres, and special activities. VIP ticket holders also receive access to the Top-Shelf VIP Lounge with top-shelf spirits, special molecular mixology demonstrations, and a few surprises. Pre-sale tickets are available through December 2, ($95 general; $160 VIP). After that, tickets will be available at the regular prices until the event sells out, which it does! ($120 general; $185 VIP). To purchase tickets, and check for updates on which celebrity bartenders and local spirit vendor-sponsors will be on hand, visit www.exploratorium.edu/scienceofcocktails. Science of Cocktails is a project of The Exploratorium Lab. The Lab is the Exploratorium’s young professionals group dedicated to nurturing people’s curiosity about the world around them and bringing the excitement and wonder of the Exploratorium to a new audience. The Exploratorium Lab offers its members opportunities to interact with the institution from an adult perspective. Cameron Phleger is Chairman of The Exploratorium Lab Board of Directors. First Republic Bank is Presenting Sponsor for Science of Cocktails. Additional support is provided by the following Media Partners: San Francisco Chronicle and SFGate.com, KFOG 104.5, and ABC-7.